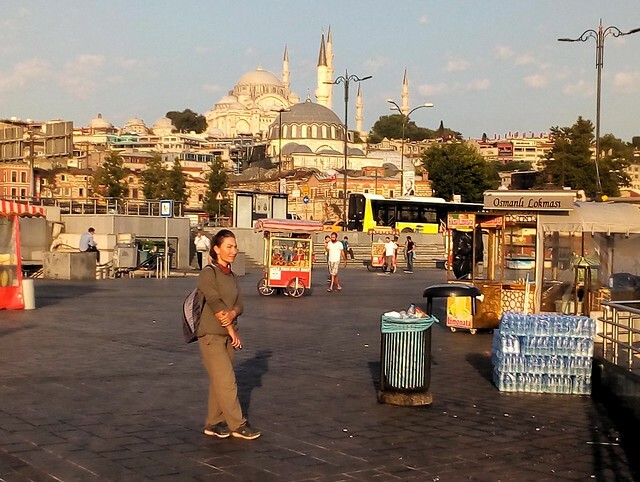 İstanbul — what a fun city to visit! This time it was only for a few hours during a (rather long) layover on our flight from Makassar to Antalya. 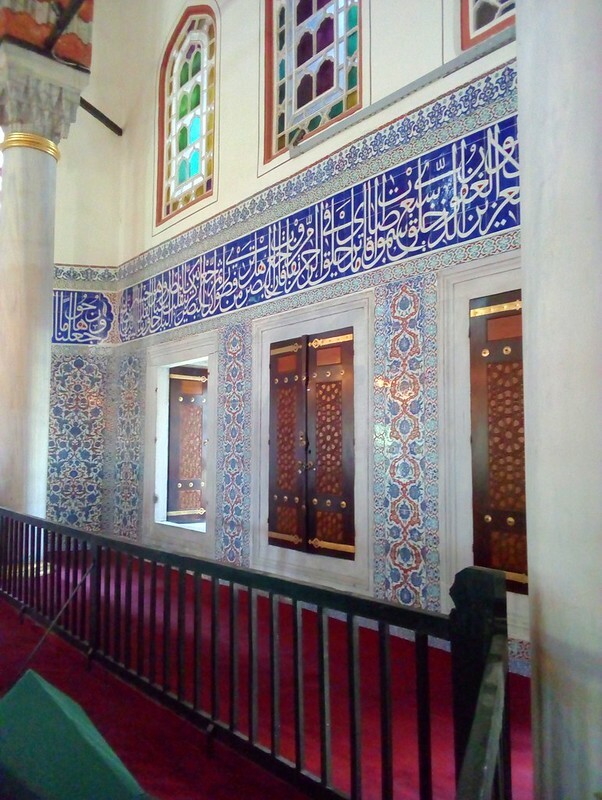 A friend recently had a six-hour layover in İstanbul (from the same airport we did, Atatürk) and asked if that was enough time to actually get into the city and see something. We decided it probably wasn’t. Well, for the record, our layer this day was 11 hours, and we ended up with about six hours of tourist time in the center of the city. 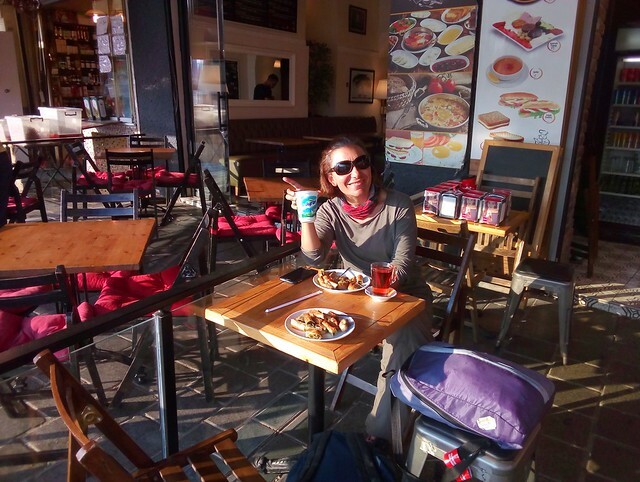 We started by taking the first train of the morning (leaving the airport at 6am) to Eminönü (change trains at Zeytinburnu). 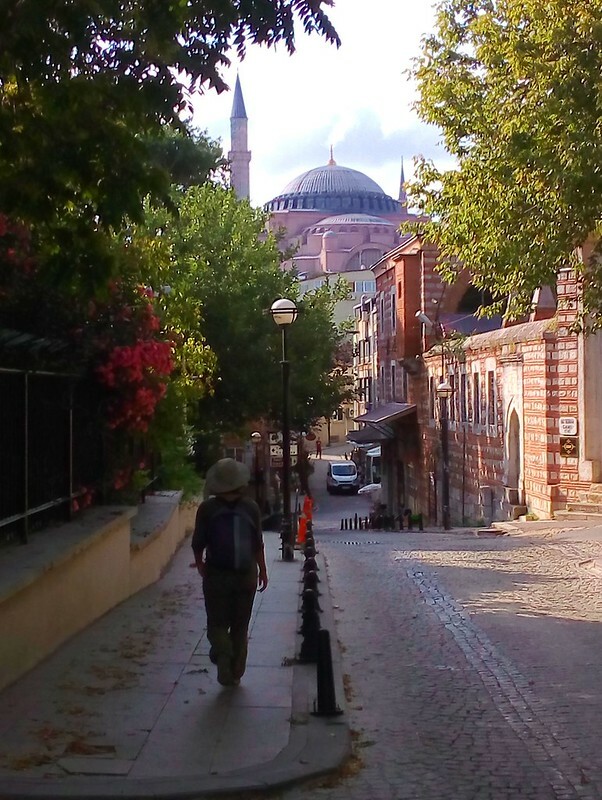 We enjoyed views of the early morning light on Yeni Camii and on the larger Süleymaniye Camii on the hill behind it before stopping nearby for a börek breakfast at a small outdoor café. Nice to be back in Turkey! Next door to the börek place I was hoping to visit Rüstem Paşa Camii to marvel at the fantastic tile work, but that’s closed for restoration work at the moment. I hope they do a good job. It’s a beautiful building. The streets between Eminönü and Sultanahmet are filled with shops selling spices, toys, games, clothes, telephone accessories, and lots more. We watched porters hauling small, heavy boxes of glass beads, just in from China, off a truck to one of the hundreds of shops in this area. It’s a fun area to walk around. 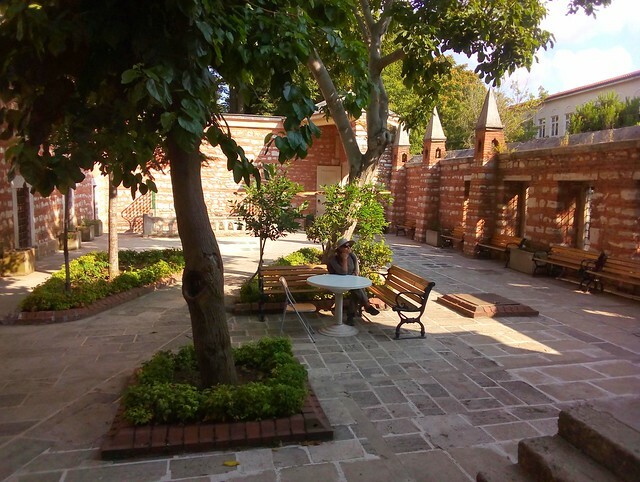 We got water from a small tiled fountain and sat down in the courtyard of a small mosque on the way to Aya Sofya, one of Turkey’s most popular tourist attractions. 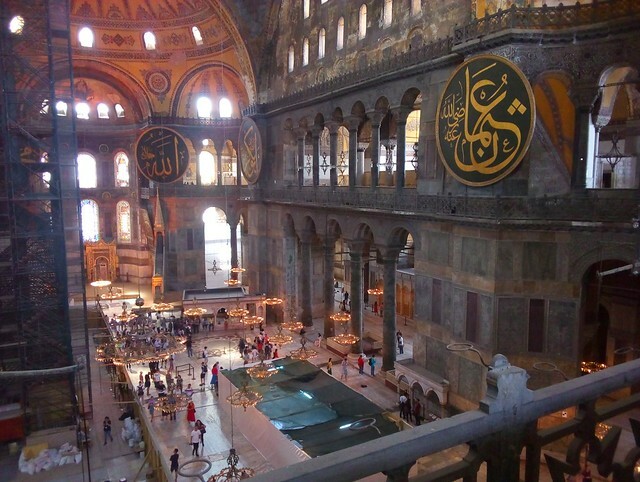 Amazingly Ferda doesn’t remember having ever visited Aya Sofya before. I’d been at least twice before, but Ferda wasn’t there either of those visits. 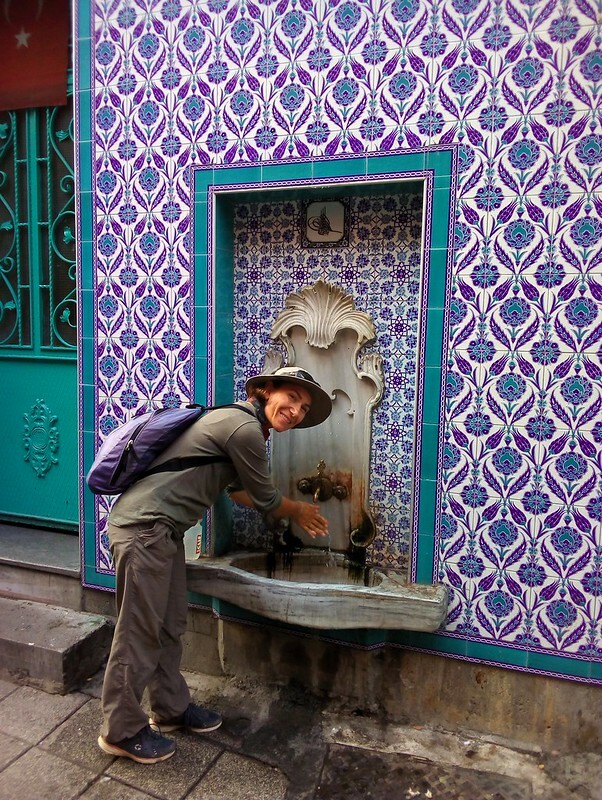 We rented the audio guide where we learned about the purple columns (there are only eight in Aya Sofya), the marble water containers (brought from Pergamon? ), the metal doors at the entrance (made 2000 years ago in Mesopotamia? ), and the marble door upstairs (looks like wood). 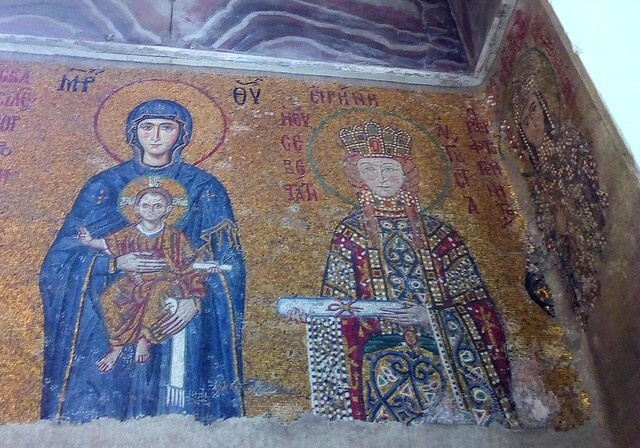 The mosaics upstairs are treasures. 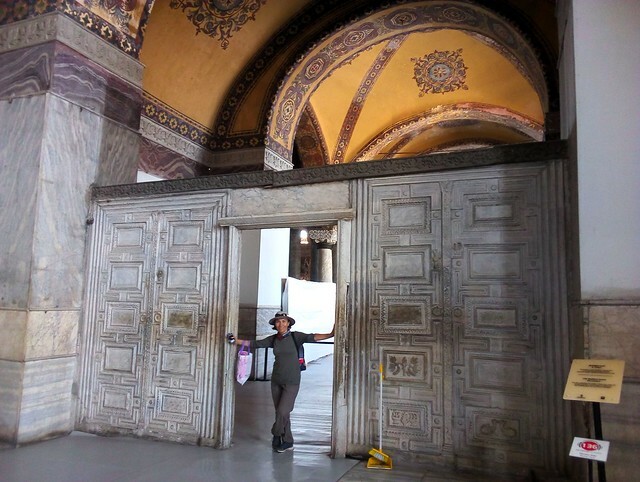 As anyone who’s been there knows, Aya Sofya is an amazing building. 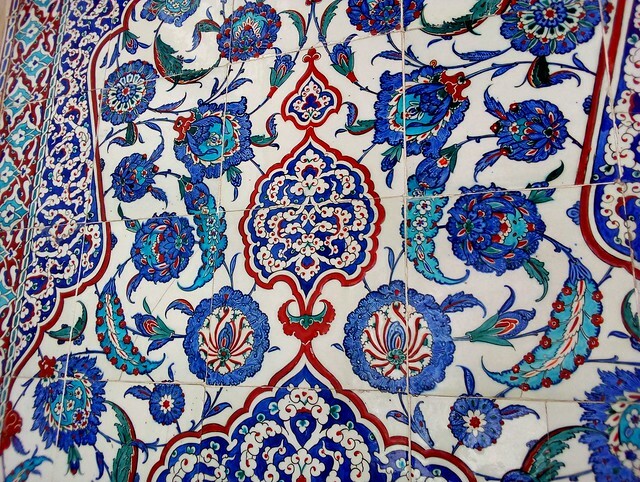 This entry was posted in Traveling, Turkey and tagged Istanbul. Bookmark the permalink.